No matter what age you get to, Lego is always pretty cool. Unless you stand on it. Then it's the devil disguised as a tiny, colourful brick. Anywho... the clever "builders" at Legoland Windsor did something great to mark the Queen's official 90th birthday last week. They used 30,000 bricks to create the scene of a miniature street party for Her Royal Highness, which sat in front of a scaled-down, but extremely accurate, model of Buckingham Palace (which took another 35,000 bricks to make). The street-party scene featured models of the Royal Family and even miniature Corgis (because, let's face it, they wouldn't miss the chance to scoff a few stray bits of party food that had ended up under the table). It was a fantastic idea and one that resulted in an awesome picture story, but I bet that halfway through the 650-hour build, those putting it all together were cursing whoever came up with the PR stunt. The star of the street party, the Lego Queen, even had her very own tiny crown which was encrusted with, wait for it, 48 real-life diamonds. The female members of the Lego Royal Family wore tiny hats made by the Queen's own milliner (that's a person who makes ladies hats FYI - just Googled it so you don't have to). I first read about this stunt on Mashable and have since seen it appear on the Evening Standard, Telegraph, TIME magazine and loads of other titles. Nice one Legoland Windsor and to all involved for some excellent piggybacking PR! Ready for another “guess what I found in my food packaging?” story boys and girls? Well, this one comes with a bit of a warning... it's more grim than the usual ones. When 29-year-old Lucy Barefoot from Bristol bought a Protein Pot from her local Tesco, she found a nasty surprise hidden within. 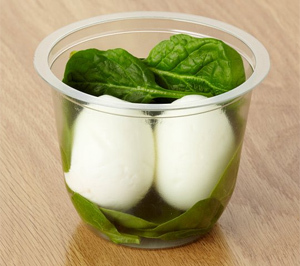 The pot, which contains spinach leaves and a whole free-range boiled egg chopped in half, was bought for £1.50. However, as Lucy tucked into the “healthy” snack, she realised that the texture was a bit gritty and then allegedly discovered what she believed to be – and there's no polite way to say this guys and gals – a chunk of cat faeces *VOM*. Of course, there's every chance it would be a rogue lump of soil that snuck its way into the pot at the food factory but, as Lucy says herself, “it is very unfortunately shaped”. She thinks it could even have been a dirty protest from a store or factory worker. Yuck. She ate a bit of egg and some spinach before her grim discovery, which has probably worried her no-end about what she may have also unknowingly chowed down on. Although previously a regular at Tesco before the incident, Ms Barefoot now says she will never shop there again (and that everyone she's told will be wary too). The story is on the Metro, Mail Online and The Sun and Tesco has apparently asked for the pot and contents back to it can investigate (aka burn the evidence). The supermarket giant has also apparently offered the customer a gift voucher, which says "isn't good enough." I'm sure there are plenty of people who've read this story who will feel differently about Tesco now, which is never ideal. Is this going to have a huge impact on the brand and its bottom line? Of course not, but it's still never a nice story for the comms team to have to deal with.